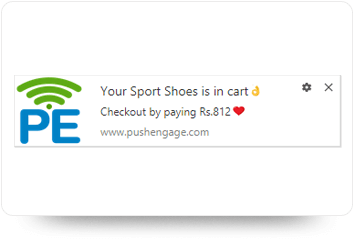 With PushEngage you can send Push Notification to user’s who are on chrome browser. 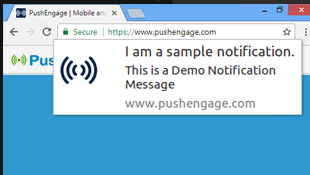 PushEngage enables you to create and send chrome push notifications to your user. As per browser stats, Chrome browser is the one of the top browser used both in desktop and mobile devices. Your user will receive instant notification on their chrome browser even when they are not on your website. Include large image in your push notifications, which is only available in Chrome from version 56+. Notification which had large image got 62% higher CTR as compared to regular notifications without large image. Large image is supported only for chrome browser notifications. 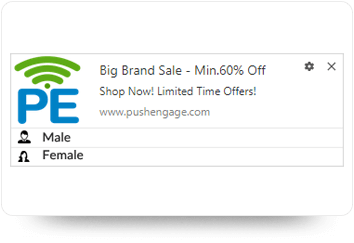 Using PushEngage you can add two Call To Action button which is supported only in chrome browser version X. For each button you can add unique image and links. Send push notification when user abandons their cart. The notification will be delivered in chrome browser both in desktop and mobile. 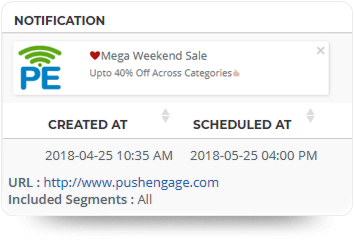 Personalized the notification using product image, price, emoji. Segment your users based on the action they take on your website. The action could be purchase, browse, watched video, downloaded video or any other action. Customize the notification for different notifications. Schedule chrome push notifications and send on right time. 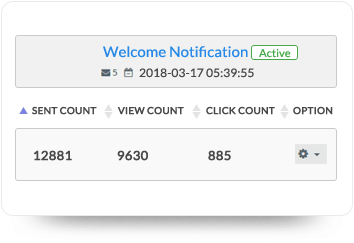 Notifications sent on right time can get increases open rate. You can schedule notifications to be sent on any day or time of the year. You can send “Welcome Notifications” to your subscribers when they sign up at your site. You can create a series of notification using Drip features. It’s the best to engage your new subscribers with your product and features. Chrome introduced custom buttons for notifications in Chrome version 48. 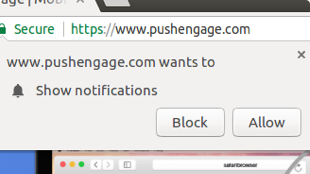 With Version 62, Chrome deprecated notification permission from insecure domain. 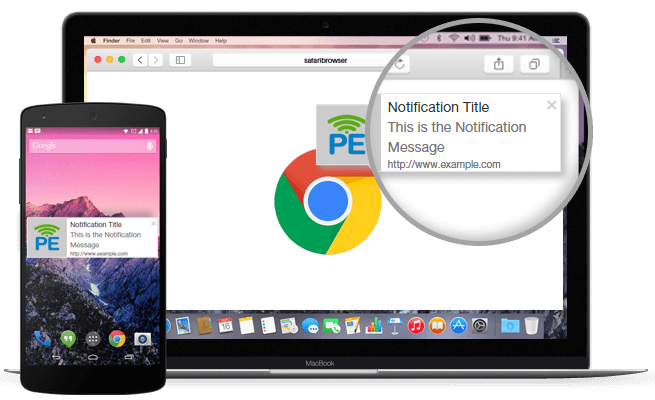 How to integrate Chrome Browser Notifications? 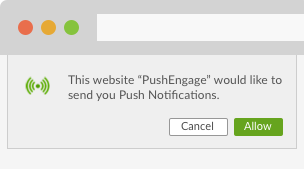 Once PushEngage is installed, a user visiting your site is asked to subscribe to Push Notifications on Chrome (Mobile or Desktop). Once the user confirms subscription, he is added to the subscriber list. You can also segment the users during subscription. Subscribed users will get the notifications as long as browser is running in background. They will received the notifications even when they are not on your site.